Many a times, you might want to stylize the layout of the email or make few modifications. 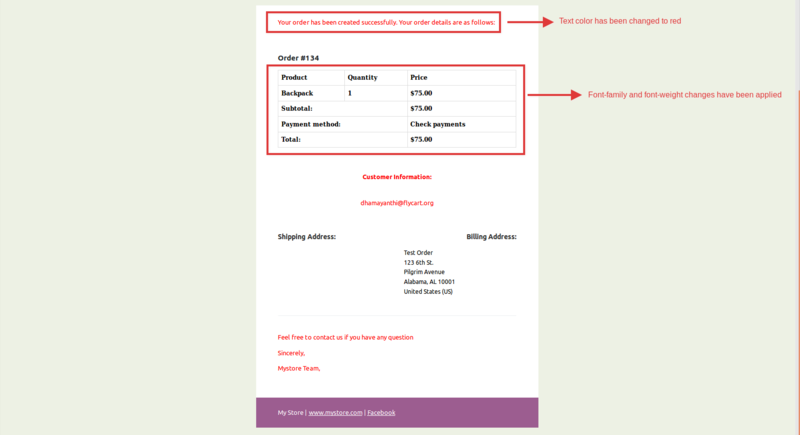 For instance, you may want to change the color of the Title text or the font of the order items table. This can be achieved by adding custom CSS code to the app's settings. 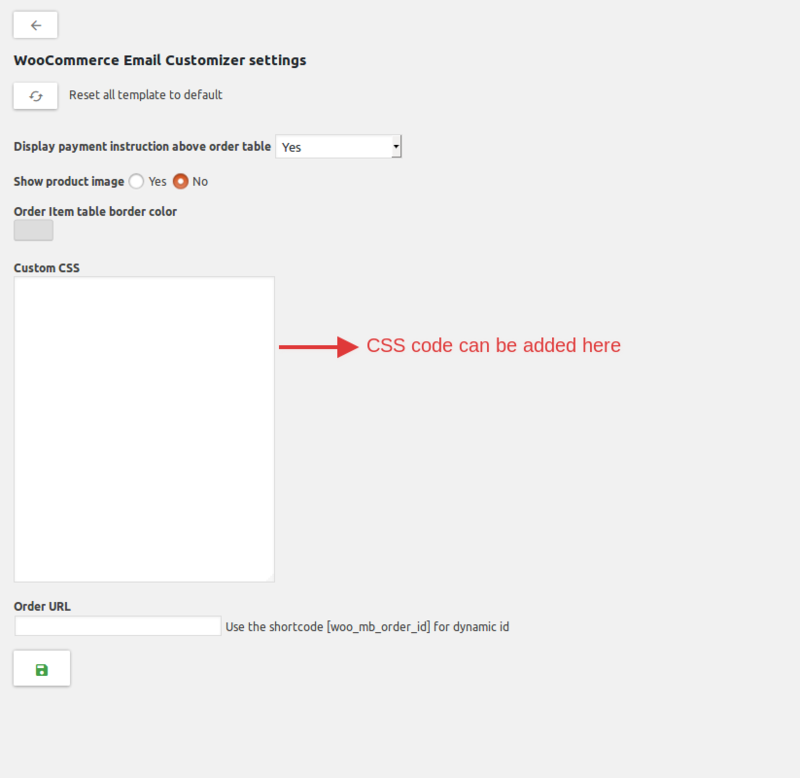 Navigate to /WooCommerce/WooCommerce Email Customizer/ Settings/Custom CSS. There you will find a text area where you can enter the custom CSS code. Let us consider a scenario where our aim is to change the color of the title text to red and change the font-family and font-weight of the order items table. Now that we have added the code, this is how it has taken effect on the layout. 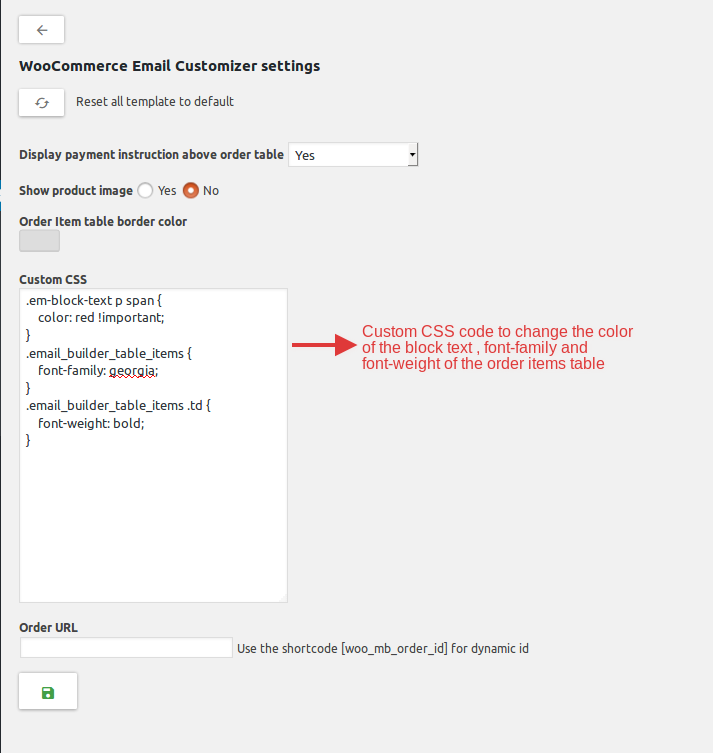 Similarly, other layout changes can also be made by adding custom CSS to the plugin settings.